With the growing number of the population we need more and more agriculture to grow food. This comes with a cost of used land and the need to protect our harvest. We have been developing agriculture to the point where it is now. Also, we have created ways of how to protect our fields from external forces such as mosquitoes, wild animals and weed. We want our plants to grow faster and be bigger, so we have developed some enhancers to help us out. Although, there is a second side of this, on the first sight beneficial activity. I am not going to talk about all the impacts that pesticides have, but I will focus only on the effects it has on our water and us eventually. 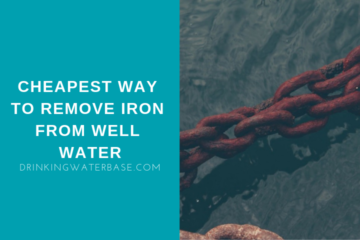 In this article, I will talk about, how they get into the water, how dangerous they are for us and finally how to remove pesticides from drinking water. 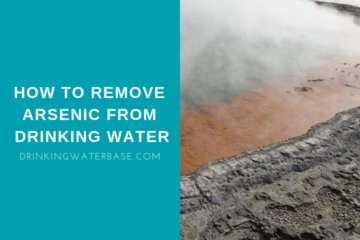 In short, boiling is not the effective way to remove pesticides from water and those will still be present there. The truly effective way is to invest into water filters such as reverse osmosis or carbon units. This especially applies to people that live in agricultural areas. Without any further waiting, let’s talk a bit more in depth about pesticides. How Dangerous They Could Be? 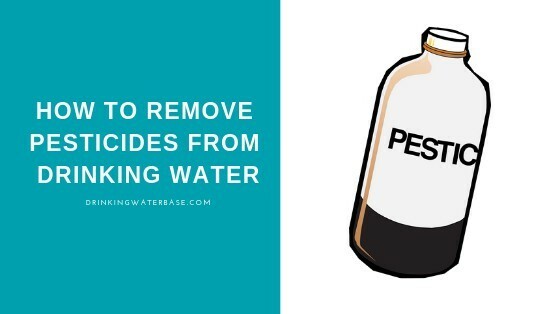 How To Remove Pesticides From Water! We can class pesticides as chemical substances to control pests and unwanted weed on the field. There are many various classes of pesticides, but probably the most known one is called herbicide that accounts for about 80% of total use. This particular one is developed to kill weed nearby the crop. I am not going to talk about all the chemicals contained in them as there are so many of them, and if I am honest most of them, I don’t even know. Let’s just see what WHO has to say! Today the technology is so advanced that we use pesticides not just to protect plants from insects, wild animals, viruses, and weed, but also we use them as growth enhancers. Pesticides are also used to control disease vectors. For example, mosquitoes are well known as carriers (vectors) of various diseases, malaria is probably the most known one. Some other insects that are classed as carriers are flies or ticks. The simple explanation is that pesticides reduce these vectors and can protect us from such insects. According to WHO, by 2050 there will be nearly 10bn people on Earth. This means that we either have to increase the space to grow food or the efficiency and speed of the growth. Space is limited as we are only given the space we have on Earth, so the only thing we can do, is to use pesticides to feed everyone. Although, WHO states that there is a way to feed everyone without the use of pesticides I am a bit skeptical about this. I mean, there will always be people and companies that will try to shortcut, to get profit at the cost of the environment. At the end of the day, I am pretty sure that we all see it daily. Despite all the good that comes with pesticides there is a cost in the form of the human and animal health that can damage the very sensitive ecosystem. Pesticides are classed as toxic chemicals. The exposure to pesticides for a longer period can have both acute and chronic health effects. Again, the impact is highly dependent on the level of exposure and the period of time. Well, I think you don’t really like the list above, and if I am honest, neither do I. So, let’s see how they actually get into water and what we can do. That newer types of pesticides are developed in a way that they won’t remain in the land for long. Cheaper pesticides can remain in the land for years. Although, the steps are made to ban those some countries especially developing are still using them to reduce costs. Similarly, older types of pesticides also remain in the land. The keyword here is people in the immediate area. The critical group that is affected are people living in agricultural areas. You know what I want to say! Yes, people from these areas should beware and definitely take the risk of water contamination by pesticides seriously. INTERESTING: Each year USA alone uses 1bn pounds of pesticides, while worldwide usage is 5.6bn pounds! This is nearly 18% of world usage! Have a look at the picture below provided by USGS. It beautifully explains how pesticides get into the water, in particular wells. I believe it is actually better to see than explain in writing, but the simple explanation is that field runoffs are absorbed by the land until they eventually reach groundwater stream. As you can see in the image, it can take years to decades until you will notice that water is contaminated. Essentially, if the water is contaminated, it might contain pesticides that were used 10 years ago! Ten years ago or even more, the environmental protection wasn’t as strict as it is now. Which means that it is likely that pesticides were more aggressive and dangerous. This is the reason why I believe that we need to get rid of them from drinking water! There is no need to explain, that people who use well water are prone to have pesticides in their water, especially in the areas mentioned above and people close to farms. Compared to city supply, well water is not treated by local plants, which means that you need to take care of water, yourself. There is no point of boiling as pesticides will still remain in water! Boiling is good at killing bacteria and viruses, however, when it comes to pesticides boiling is not effective. I was talking about the charcoal in my other articles, and my research suggests that in case of emergency charcoal will be efficient filtration medium. If you want to remove pesticides from drinking water and protect yourself and your family, you will have to invest a little in a filter, as this is the only way to get rid of these substances. Obviously, the most efficient way is to get a reverse osmosis filter. These are the most effective against pesticides and other contaminants you can find in water with the treatment rate of >99%. Granulated activated carbon also known as GAC filters are also effective against pesticides. This is a cheaper alternative and is usually included as a stage of the reverse osmosis system. I have explained more about GAC filters in this article. Usually whole house and countertop filters have a GAC cartridge as filtration medium, but you can also get just one stage filter housing and install the cartridge of your choice yourself. So, here we came to the end of this article. I know it was quite a sad article, but yet I feel this is important to talk about things like this and make people aware. As always I would like to ask you to share this information with your friends if you have found it useful. Also, use the comment section below to share your experiences with pesticides. Do you live in the area affected by pesticides? Where it is? Have you tested your well water on pesticides and what was found there?